Writing often appears to be an easy endeavor especially to people who are not involved in it. Contrary to popular belief, writing is a process that takes a person’s time, money, and energy. Before people get to read an article, it undergoes a process that often requires the input of several people. Once a writer is done with an article, the next process involves editing, and this is where an article is polished for it to make to printing or publishing. Editing is quite a hard task because it is the final process. 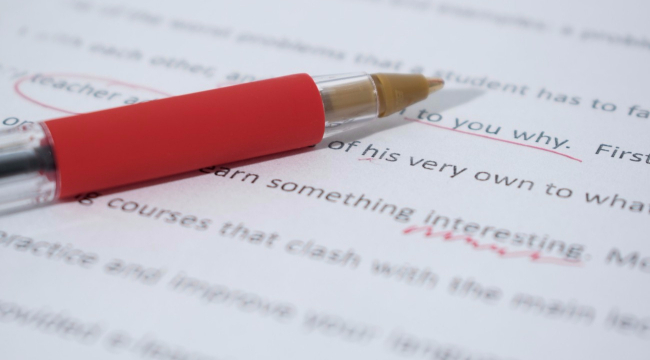 During editing, an article is proofread several times and any mistakes are corrected. A majority of readers believe that editing only involves correcting grammatical and punctuation errors. However, editing is inclusive of syntax and semantic errors, the uniqueness of an article, the use of accurate and credible citations, etc. Editing is indeed a labor-intensive work and while today there are several online paper editing services which have simplified the process, man’s input is still essential. Grammarly is one of the most popular online paper editing service platforms. This platform is easy and takes a short time to learn compared to others. While on the site, one can upload their paper or use the copy and paste feature as made available by the platform. The platform also allows users to correct punctuation, grammatical, syntax errors. Aside from these, Grammarly also allows users to check for plagiarism in their articles. Users can, therefore, check whether their articles are similar to articles that were written before theirs. The swiftness with which Grammarly allows users to check for errors is one of its biggest advantage over the other tools. The platform also has several reviews which also build on its reputation as one of the best platforms for editing papers online. It is true that Grammarly has built a name for itself in the online editing business. However, the platform is yet to be upgraded to the level where users can use it to check or correct semantic errors. Semantic errors are quite hard to discover because sentences that are semantically incorrect could be correct grammatically. This means that users will have to know the intended meaning if they are to make any corrections. Checking spelling: - it is normal to make spelling mistakes but after the deadline helps its users to detect such mistakes and makes the necessary recommendations. Style checking: - people often fall victim to the use of passive voice, clichés, politically biased language, and redundant words and phrases. After the deadline helps one to uncover such and make the necessary corrections. It detects the misuse of words: - sometimes people use some words with the intention that they would mean something different. It is indeed easy to misuse words but after the deadline helps people to detect such errors. Checks grammar: - grammatical errors are common but by using after the deadline helps one to discover and correct such. Examples include confused words, and repeated words. Explains the errors to the users: - by explaining the errors, after the deadline helps users to avoid making the same mistakes. This tool is often recommended because it analyzes context, a feature which is not common in the other spell checkers. One disadvantage, however, is the fact that users cannot check for plagiarism and hence could be accused of copying other people’s work. Checking grammar: - users of this platform are given the opportunity to correct any grammatical errors using this feature. Spelling checking: - users can also check the spelling of some of the words they have used in their articles and make corrections accordingly. One of the advantages of SpellChecker as an online paper editing service platform is that the English spell check has more than 100000 entries which mean that users are given the opportunity to find more syntax errors. The disadvantage is that it is devoid of a lot of features including style checking, plagiarism checking, and detection of misused words. Grammar checker: - users are given the opportunity to correct their mistakes online. Text to speech: - users can also listen to their articles and get to know whether they are invoking the feelings and emotions they wish to communicate. Spell checker: - spelling mistakes are common to all writers. However, with the help of Ginger, one can correct such mistakes. Punctuation checker: - getting the punctuation correct is indeed essential because one’s sentence can have a different meaning if the punctuation is incorrect. Ginger helps writers to make punctuation corrections thus improving the quality of their essay. One of the advantages of this platform is that it helps one to grow as a writer because upon request, one can be given a trainer who can help them become better. The main disadvantage is that it does not help users to check for plagiarism thus making it impossible to know whether one has included unoriginal information without citations. Copy and paste: - users do not have to type their work again but can copy and paste it on the text-area provided. Grammar checking: - one can also check and correct the grammatical mistakes in their articles. Spell checking: - getting spelling mistakes is common but GrammarChecker can help users to make the necessary corrections thus maintaining the intended meaning. Unfortunately, GrammarChecker does not have any special advantages that make it different from the other online paper editing service platforms. In conclusion, editing is a task that requires time and one’s mastery of the English language. Writing is indeed a process, and it takes a time to attain perfection if such a level is attainable. It can be a tough task to edit a paper, but writing is even worse. Thus, if you find yourself stuck in a writing process, it’s sometimes better to use paper writing assistance to get the highest mark.